Cainhurst Vilebloods is a covenant in Bloodborne. This covenant focuses on pvp and invasions. How to Join: make sure you kneel to Talk to Annalise, Queen of the Vilebloods and agree with joining the Covenant. Leader: Annalise, Queen of the Vilebloods. Blood Dregs, which are used to rank up in this covenant, are found by killing other hunters or NPC hunters. After giving 99+ Dregs, I don't believe there are other ranks available, If more are found, this line will be removed. 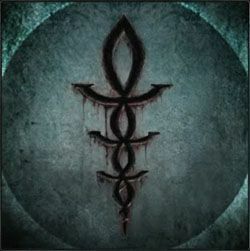 According to Alfred, the Vilebloods were born because of the actions of an unknown scholar at Byrgenwerth. He brought "forbidden blood" to Cainhurst Castle, where the corruption began and opposition to the church started to form. Almost all the Vilebloods were wiped out by the Executioners in a daring raid of the castle. The queen was kept alive, but trapped and hidden away by an illusion by Martyr Logarius for reasons unknown. However, Arianna's existence raises questions as to whether or not there are others from the Cainhurst lineage that survived the purge and/or managed to escape. Relevant lore theories can be found under The Mysteries of Cainhurst Garb & Architecture. Covenant farming tips, video links etc go here. If you deliver the Unopened Summons to Alfred and allow him to kill Annalise, you will be unable to join or interact with the Vileblood covenant in that playthrough until you revive Annalise at the Altar of Despair using the Queenly Flesh. Can the hunters in dungeons be counted? My friend told me to join this covenant but now when I summon my friend in they&apos;re evil. Is there any way to get rid of this BS? hey some real quick questions. if you pledge yourself to be a vileblood, even if you dont have the rune equipped can executioners still fight you as invaders? and if you pledge yourself can you wear/get the executioner rune because i want the chikage but I want to be an executioner with my pals. VILEBLOODS ARE BETTER THAN EXICUTIONERS! YOU&apos;LL NEVER STOP ME! At least over 100 dregs given. No &apos;&apos;rank up&apos;&apos; or any rewards. It&apos;s all just simple leaderboards. Huge shame, on the plus side, if you&apos;re like me who couldn&apos;t care less about the leaderboards, just use the dregs for insight, this can be extremely helpful for endgame pvp. While invading recently, I noticed that if a beckoner has one or more cooperators, the cooperators do not drop blood dregs if killed. I have only ever received blood dregs from killing the beckoner. I always have my rune equipped when invading. Just something I noticed. The other day I was trying to summon two friends to join me in a chalice, with password. I&apos;m a HoH. Got one friend in ok, but to our surprise we then got a random co&apos;op-er summoned as a Vileblood. Neither of my friends had cov runes equipped, so I can only conclude that the vileblood player was marked as blood-addled by the sinister bell. Says this is a covenant focused on pvp and invasions yet its the only one with any benefit from playing co-op by being able to farm Blood Dregs by killing hunter enemies in the host&apos;s world. The other two only have situational invasions tacked on. Even if you&apos;ve put a password on to summon friends, be advised that you can still summon Executioners, they seem to override the password. That was a fun surprise. Do the hunters on the begining of the dlc drop blood dregs? anyone get to rank 3 yet? Why is it even on this page? I still haven&apos;t seen anything that links him to the Vilebloods, not to mention he&apos;s part of the church. You know, the group that doesn&apos;t like the vilebloods. Why csnt I join. The queen just says "we shall not give audience to an ill-mannered beast"
How have people been getting like in the 20,000 mark? The #1 person on my leaderboard has 29999 blood dregs given.